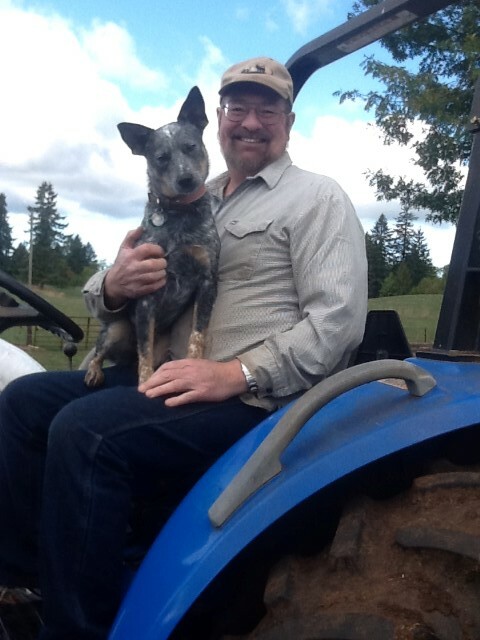 Clackamas Soil and Water Conservation District celebrates the 20th anniversary of board member Don Guttridge. Director Guttridge was elected to represent citizens in Zone 5 during the 1994 general election. 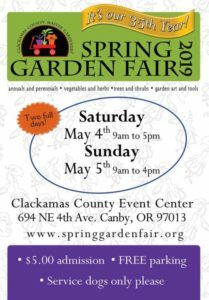 Zone 5 covers the eastern side of Clackamas County and includes the communities of Estacada, Springwater, and Colton. “The Conservation District was very different twenty years ago,” says Guttridge. “When I was elected, we had one, half-time employee, the district manager.” He noted that the annual budget at the time was $10,000 and that the Natural Resources Conservation Service (NRCS) provided much of the District’s direction and guidance. As a result of the 1996 flood, Emergency Watershed Protection funds catapulted the District into a larger conservation leadership role in Clackamas County. Guttridge was instrumental in the further growth of the District and helped to secure stable conservation funding via a tax base approved by voters in 2006. This support from local citizens has resulted in quality on-the-ground projects in both rural and urban Clackamas County. The District has been recognized many times for excellence by local, state, and national entities. Director Guttridge’s relationship with the District extends beyond his twenty years of service on the Board. His father, Joseph Guttridge, served two terms on the Board of Directors until he retired in 1995. Both his maternal and paternal family lines have a long history in Springwater, where their family property was designated a Century Farm in 1974 by Governor Tom McCall. The family has raised horses and cattle and has grown Christmas trees and hay. Director Guttridge and his family continue to farm the property today and he has great hopes that property will continue to stay in agriculture in the future. Trained as a draftsman and designer, Director Guttridge also served in the Marine Corps Reserve for 13 years. He is currently the owner of Springwater Design, a firm that provides home and remodel plans with an emphasis on energy conservation and sustainability. “I always promote conservation ideals with my clients,” says Guttridge, who is particularly excited to share his knowledge and expertise as the District begins plans to build a permanent home for the District in Beavercreek. Weir Removal…a dam good idea!